Munroe Dairy works with local dairy farmers to provide our customers with the freshest milk possible – taking less than 48 hours to arrive at your door from the farm. We take pride in working with local family-owned establishments that embody the same purpose-filled qualities that we, and our customers, value and cherish. 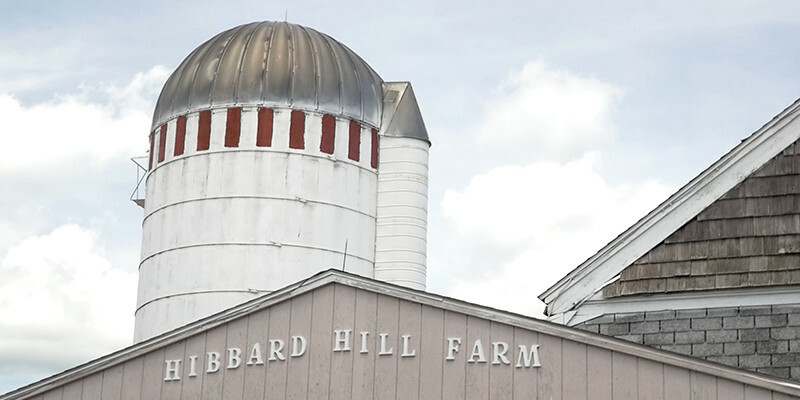 Located in a rural area with pastoral scenery, the Hibbard Hill Farm is one of Connecticut’s designated “Dairies of Distinction” and is celebrating its 100th anniversary in business. The Hibbard Hill Farm maintains and takes care of 80 healthy cows and is headed by Donald and Susan Hibbard. The Hibbard family has lived in the New England region since the 1600s and have largely been farmers for much of that time. 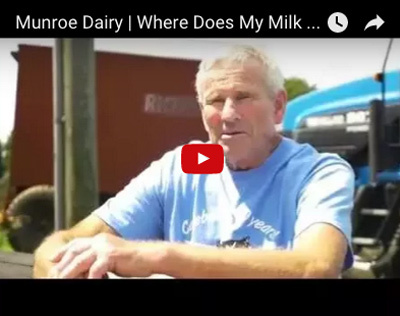 Their family legacy as passionate farmers resembles the family values that we hold true at Munroe Dairy. Watch our video to see more of Hibbard Hill Farm. 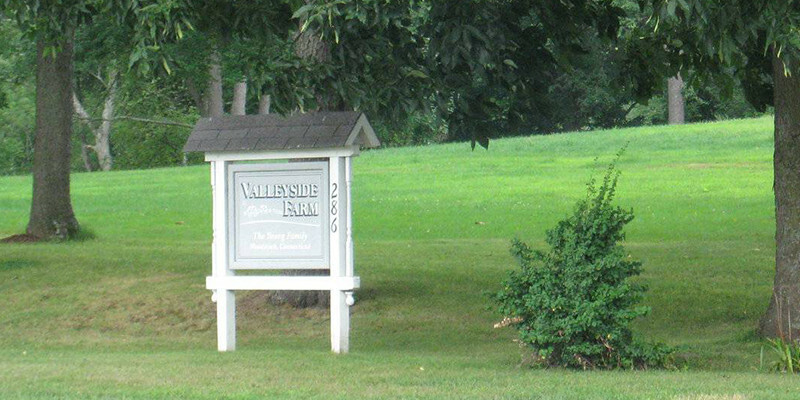 The Valleyside Farm, located in Woodstock, CT, has been in the Young Family since it was originally deeded by the King of England in the 1700s. Today, the Valleyside Farm manages 210 head of cattle while mainting their strong reputation for producing high quality milk. The longevity and responsibility of Valleyside Farm has been passed down in the family to Tim Young, who is motivated to nurture the farm and pass it on to the next generation. The Valleyside farm brings a unique and deep family tradition to their business that resonates with Munroe’s own story and the customer’s we service. As 3rd and 4th generation farmers, the Fairholm Farm in Woodstock, CT is managed by Todd Morin and is approaching its 100th anniversary in 2020. 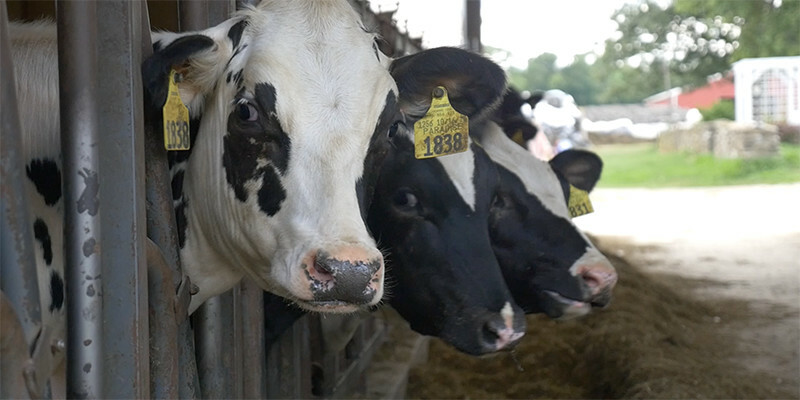 The farm stretches across 424 acres with a total milking heard of 560 cows. Morin and his family each have their special roles on the farm like crop work, hearding, feeding, and breeding. When the farm was purchased by the Morin family in 1920, it originally had cows, pigs, chickens, and other typical farm animals. When Todd’s father assumed the managing role of the farm, the family agreed to move forward as a dairy farm and today have assured that all of their cows are registered through the Holstein Association. Fairhom Farm’s focus on product quality and family togetherness aligns itself with the qulaities we hold here at Munroe Dairy.